Located in the picturesque district of Cannaregio, the Hotel Il Mercante di Venezia is housed in a 18th century building, in “Calle della Misericordia”, a quiet side alley off the main street “Lista di Spagna” (just a few steps away from Santa Lucia train station and from Piazzale Roma, bus terminal and parking). 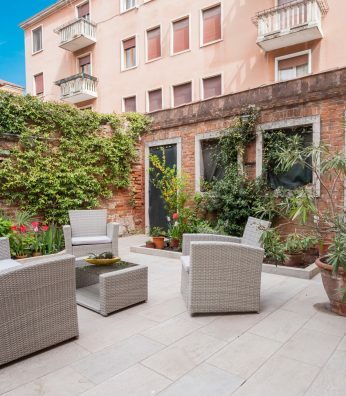 ​With an​ enviable location, the hotel is only a short walk from the Grand Canal, the Jewish Ghetto, the Casino of Venice and the local markets of Cannaregio district. The hotel takes its name from “The Merchant of Venice”, the famous work written by William Shakespeare, who chose our beautiful city – always at the crossroads for cultural, religious and economics exchanges – to set the play in the ​17th century. Typical of our hotel is the elegance of Venetian 18th century décor (with ​original Murano glass chandeliers, brocade upholstery and precious tiled floors) combined with the most modern comforts. 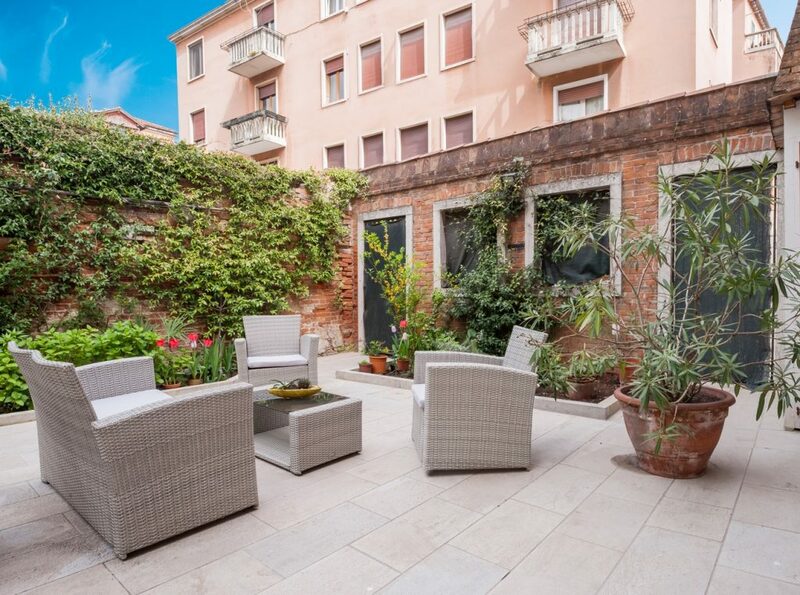 Last but not least, our guests can enjoy the peace, the tranquility,​and maybe have a drink in our own backyard, Otello’s Garden, a rare exclusive place to find in Venice.